In the wake of the shootings last year in Aurora and Newtown, movie violence is under heavier scrutiny than we have seen in years. Many pundits and elected officials have raised the issue as a potential part of the problem of gun violence, but due to Wayne LaPierre’s polarizing press conference, it seems less likely it will be included as part of a solution. He oddly blamed two-decade old movies like Natural Born Killers and American Psycho for inciting real-life violence, and a consideration of the impact of movie violence on society is now largely seen only as a narrow-minded alternative to gun control laws and reform of our mental health system, not as part of a holistic solution to this complex problem. 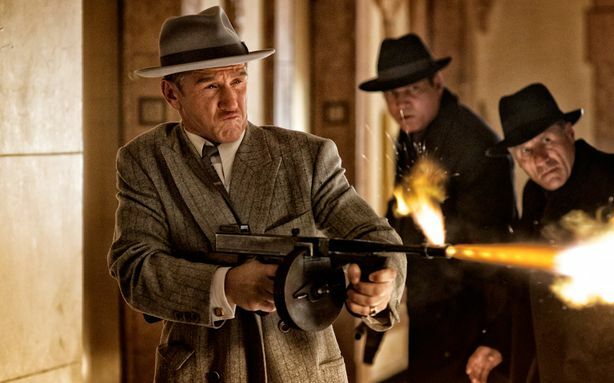 But the issue won’t go away entirely because we are about to be hit with a succession of hyper-violent movies, starting with this Friday’s release of Gangster Squad. The film, which details the bloody efforts of the LAPD to defeat gangster Mickey Cohen in the 1950s, was pushed from its September release date because it contained a scene eerily similar to what transpired in Aurora, Colorado – gangsters shooting up a movie theater – and the producers were either sensitive to the victims’ families or worried that the echoes of Aurora would hurt the box office. You can decide that one for yourself. Either way, changing the release date was probably a wise decision, but January seems like an odd choice for the new release date. Gangster Squad appears to be the kind of hugely entertaining, gleefully violent movie that we are used to seeing in the summer. So why are so many of them – including Hansel and Gretel: Witch Hunters, Parker, The Last Stand, Bullet to the Head, and A Good Day to Die Hard – coming out in the next two months? I still think of violent movies as belonging to the summer. At least that’s how it was when I was growing up. The action movies of my youth – Die Hard, Lethal Weapon 2, Terminator 2: Judgment Day, True Lies, Total Recall, Robocop – were all summer releases because they appealed to young males, especially bloodthirsty teenagers who had nothing but time on their hands between school years. The first months of the year have typically been a dumping ground for movies that were perceived as not strong enough to earn a prime release date the year before, but movies like Gangster Squad and Hansel and Gretel arrive with significant box-office expectations. A Good Day to Die Hard is a good case study because its origins lie in that era. The first Die Hard was a surprise hit in 1988 that launched Bruce Willis’s career and set a new standard for commercial action movies. The first two highly successful sequels were summer releases in 1990 and 1995. 2007’s Live Free or Die Hard was also a summer release, but it was by far the worst performing film of the franchise, a development that, I’m sure, prompted the producers of the upcoming fifth installment to change the release date. So what happened between 1995 and 2007 to relegate the individualistic, rogue cop action movie to the dismal month of February, our cinematic winter of discontent? Has the slow creep of summer blockbusters into spring finally reached winter? Possibly, but I think this trend reflects a deeper change. Ever since The Matrix, summer blockbusters have veered towards more thought-provoking storylines. Summer audiences in this century have sought stories that provide intellectual stimulation and even existential and spiritual exploration amidst the explosions and gunfights. Movies of this kind would include Inception, Christopher Nolan’s Batman trilogy, the X-Men films, all four Bourne movies, I, Robot, Hancock, Wanted, Star Trek, District 9, and Minority Report, among others. These movies appeal to a mass audience that is far more contemplative of America’s place in the world. The major events of the 21st century, including the 9/11 attacks, the destruction of New Orleans by Hurricane Katrina, and the economic collapse of 2008 have made Americans feel more vulnerable than at any time since the early days of the Cold War. If the World Trade Center could be brought down, no building is safe. If a city like New Orleans could be destroyed, so could yours. Oh, and global warming is escalating at a pace that could drastically change the nature of human civilization within the century. As a result, we feel less secure and are less likely to accept movie violence – or any other kind – untethered to moral consideration. And so this summer we have two big action movies that depict worlds in which human civilization no longer exists – Oblivion and After Earth. We have comic book movies that reduce iconic American archetypes to dysfunctional humans – Iron Man 3 and Man of Steel. We have movies with villains that threaten to end the world as we know it – Pacific Rim, Star Trek into Darkness, and World War Z. In contrast, movies like Parker and Gangster Squad have significantly lower stakes, and their violence is conveyed with little context. There are still big dumb action movies to be found in the summer months – Roland Emmerich’s White House Down and Fast 6, amazingly, do exist – but they are fewer and further between. 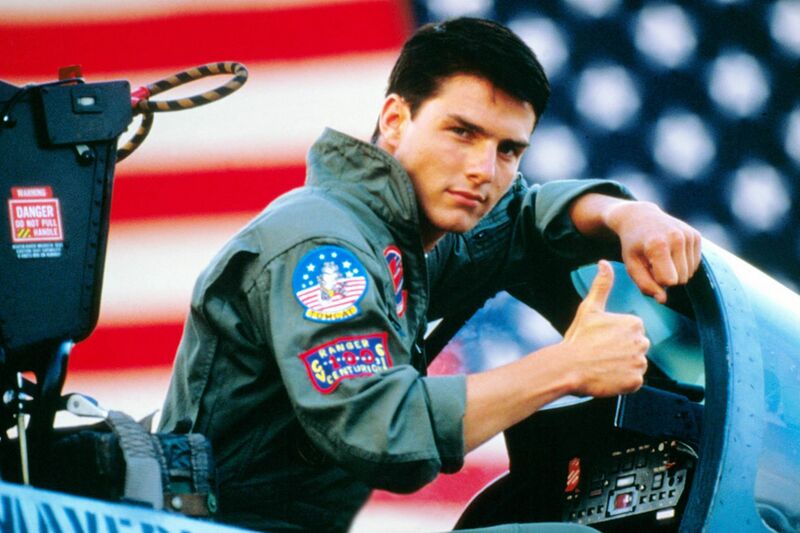 Of course, the ideal example of how things have changed would be the re-release of Top Gun, a movie that was released in May of 1986 but was exactly the kind of blockbuster with which my childhood summers were filled. This year, it is getting a 3D-conversion re-release in February. Whereas once the story of a renegade Navy pilot who goes rogue, ignores his superiors, and saves the day would have been the stuff of summer legend, now it is niche programming. The re-release of Top Gun is not for teenagers. And in all fairness, neither is A Good Day to Die Hard. These movies are aimed at those who grew up with Tom Cruise and Bruce Willis – people like me. Because today’s teenagers grew up in a less secure world, they would much rather see Tom Cruise contemplate the nature of his universe in Oblivion than disobey orders and take down the bad guy himself in Top Gun. Of course, these two films are being released only two months apart. Top Gun comes out on February 8, while Oblivion gets a pre-summer slot on April 12. Considering these recent trends in cinematic seasons, those two dates are further away than they seem. And if Gangster Squad performs like a summer movie in January, we can expect the cycle of violence to return in that spot every year.